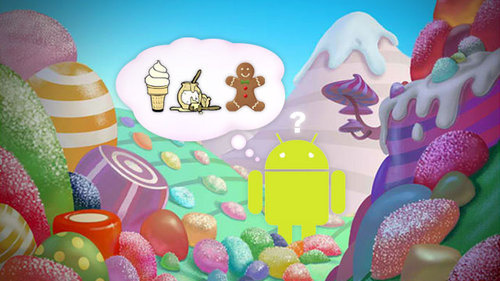 So, Google's CEO said something about a new version, but it's coming after Android 3.0 ("Honeycomb"), and it ties in with Android 2.3 ("Gingerbread'), which really hasn't moved out yet, and might also update. So, uh, what's going on with Android, exactly? Help me make sense of all these desserts! Here's our best shot at deciphering the official statements made by Eric Schmidt at today's Mobile World Congress, statements made here and there by Android workers, and less-than-official bits and pieces that help color in some of this rather crowded, abstract picture. Less than one percent of devices are running Android 2.3, because it's only available on the Nexus S (available only on T-Mobile in the U.S.), or to Android users who have installed unofficial, third-party firmware on their device (a.k.a. "rooting"). Generally, Google releases each Android version as a very short-term exclusive on a particular phone, from a certain carrier, before the source code for the version is available to phone makers, carriers, and app developers. In this case, it's the Nexus S on T-Mobile, which is a "reference hardware" for developers' use, but publicly available at Best Buy. The source code for 2.3 has been released at this point, and unofficial versions have made their way to firmware hackers. So why isn't Gingerbread available anywhere except on one niche phone? The most accurate answer is "A number of decisions by a lot of parties with varied interests." But I'd guess that the most important factor is that Android 2.3 just isn't that big an update. Don't get us wrong—keyboard, app management, and little graphic touches are nice. But if you have to pay a team of programmers to update your devices, spend thousands of man-hours testing it, and hedge your bets against waiting for a newer, bigger update that might be coming soon, you, as a carrier or manufacturer, might not be so eager on a lot of nice little touches. Schmidt went on to say that Android would be adapting a six-month release cycle. And to parse what he half-explained: The next major, name-worthy Android release to be announced, which might be 4.0, will land on both smartphones and tablets, and will likely provide a common set of features for users and developers to plan on. It could be name "Ice Cream," or, as sometimes hinted at, "Ice Cream Sandwich," to possibly avoid (even more) confusion with "Froyo."